... I like everything about SingSnap, it has changed my life for the better. ... 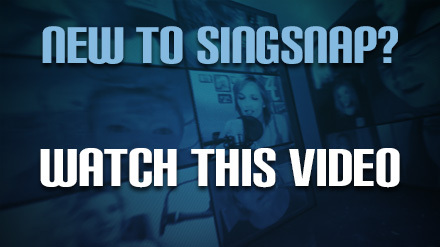 I love SingSnap because I don't get to go out to karaoke. I love singing & the system and music they have is perfect! ... everyone is invited to sing. It's not about only the best voices, it's about all voices, great tracks, fun community and a president and his team that join the fun!